The OnePlus 6T was recently launched by the Chinese manufacturer. We’ve already shared the stock wallpapers from the device. If you’re a OnePlus 6 owner, you can get a few of the OnePlus 6T features and the Live Wallpapers on the latest Oxygen OS 9.0.2 or Oxygen OS Open Beta 6. But if you’re an owner of the OnePlus 6T, all you probably want is to root your device. Since the OnePlus warranty is still valid after unlocking the bootloader, you don’t have to wait for your device to be out of warranty. Luckily for you, you also don’t have to wait for a rooting method now because there already is one. 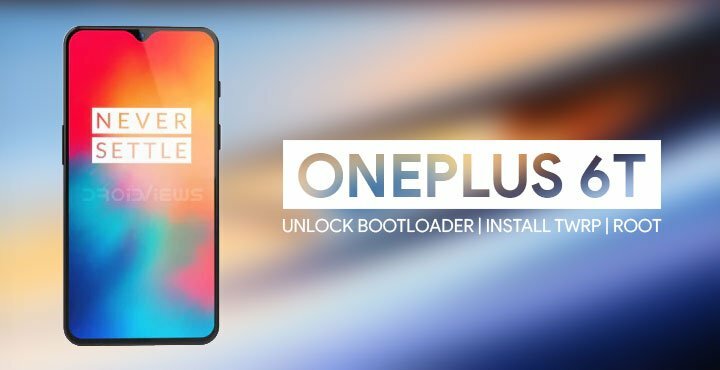 We’ll show you how to unlock the bootloader, root OnePlus 6T and install TWRP recovery on it. 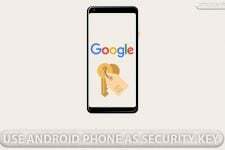 Installing a custom recovery on your device requires unlocking the bootloader which generally voids its warranty. That’s not the case with OnePlus devices though. But if you’re here though you’ve probably already made up your mind about it. We can assure you that the method mentioned below has been successfully tested and that it works perfectly fine. What we can not assure you of is that everything that you do (even if you follow this guide exactly) will produce the desired result. That is to say, there’s always a risk that something can go wrong. In which case, you must understand that you were warned, and you still went with it anyway. Therefore, DroidViews cannot be held liable for any damage to your device. A PC with ADB and Fastboot drivers installed. We have dedicated, detailed guides on how to do just that for all the three major platforms. You can check them out by following the links below. Windows users will need to install the latest OnePlus USB drivers. TWRP recovery does support decrypting devices but it requires a PIN or password. This is why you need to make sure that your screen lock is set to PIN or password and not pattern. TWRP does not support pattern locks and thus you will not be able to decrypt your device’s storage without formatting it. So head over to Settings > Security & Lock Screen, and make sure Screen lock is set to either PIN or password. Enable Advanced reboot (optional). You don’t have to do this but things will be easier if you do. So head over to Settings > System > Developer Options, then turn on the toggle next to Advanced reboot. blu_spark TWRP image, blu_spark TWRP flashable zip – This TWRP recovery is meant to work with the OnePlus 6 running on Android Pie. Since the OnePlus 6T has essentially the same hardware and software, it works on the OnePlus 6T as well. Download both the files. 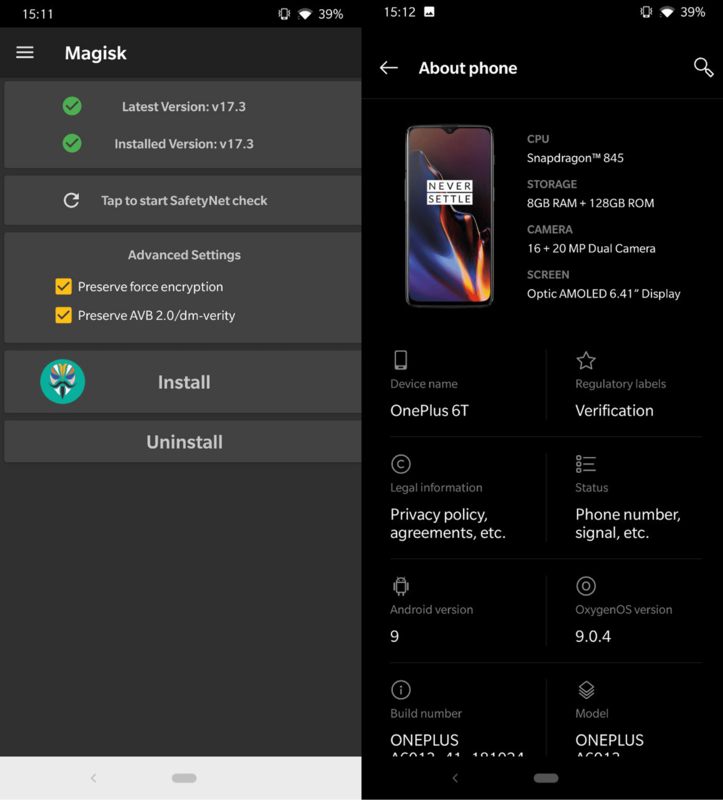 Magisk – Latest Magisk zip. Warning: Back up all your data and apps before proceeding to unlock the bootloader as they will be wiped during the procedure. Press and hold the Volume Up and Power button together on your OnePlus 6T until it boots into fastboot mode. Connect it to your PC via a USB cable and make sure the connection isn’t loose. 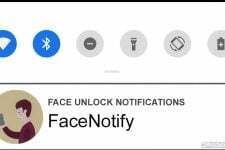 On your phone, you will be warned about unlocking the bootloader, press the Volume Up button to highlight Unlock the bootloader and the Power button to select it. In the stock OnePlus recovery, wipe all user data and then reboot your device again. Assuming you did enable Advanced reboot, bring up the power menu by long-pressing the power button. Select Reboot > Bootloader. Now connect your OnePlus 6T to your PC using a USB cable. 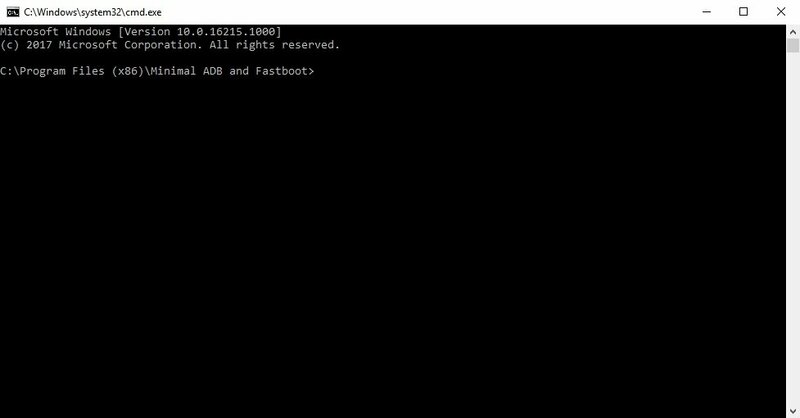 Next, launch Minimal ADB & Fastboot on your Windows PC. 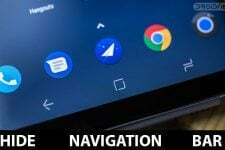 You can find it in the start menu or search for it. Mac users will need to launch a Terminal window inside the ADB folder. Linux users can simply launch a Terminal provided ADB was installed system-wide, as mentioned in the tutorial linked above. Check the connection by entering the following command in the command window or terminal. Depending on your Linux distro you may have to use ./ before every command. Mac users will need to use it as well. You should see your device’s serial number followed by the word fastboot. Similar as before, replace /path/to/ with the actual path to the twrp file and use the correct file name. You have successfully unlocked the bootloader, installed TWRP recovery and rooted your OnePlus 6T.